Details:1 Bedroom, 1.5 Bath beachfront condo with 630+/- sq. 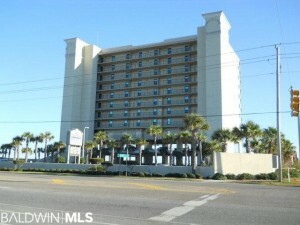 ft.
Phoenix All Suites condo for sale in Gulf Shores Alabama. Awesome gulf-front condominium rental situated in the center of shopping, dining & entertainment. 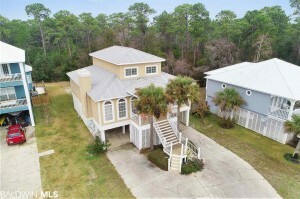 This community is located in the middle of the Gulf Shores Public Beach. This corner resort property overlooks all the action of the Hangout Festival, the Shrimp Festiva, etc... Ideal real estate investment - come see this one! Details: 4 Bedrom, 4 Bath Resort Property with 3,080+/- sq. ft.
Orange Beach real estate for sale, Terry Cove Harbor House. This residence is located in an exclusive community and situated just across from the water, just a few houses down from the neighborhood boat launch and fishing pier. The main level is spacious and ideal for entertaining family & friends. Terry Cover Harbor amenities include a gated boat launch & pier, gated boat storage, gazebo, playground,outdoor pool, two tennis and two basketball courts. Great views from all three levels and the back yard faces the nature preserve for added privacy, yet just minutes to the white-sand beaches and a bike or golf-cart ride to a variety of dining, shopping and entertainment venues - come see this exceptional home!